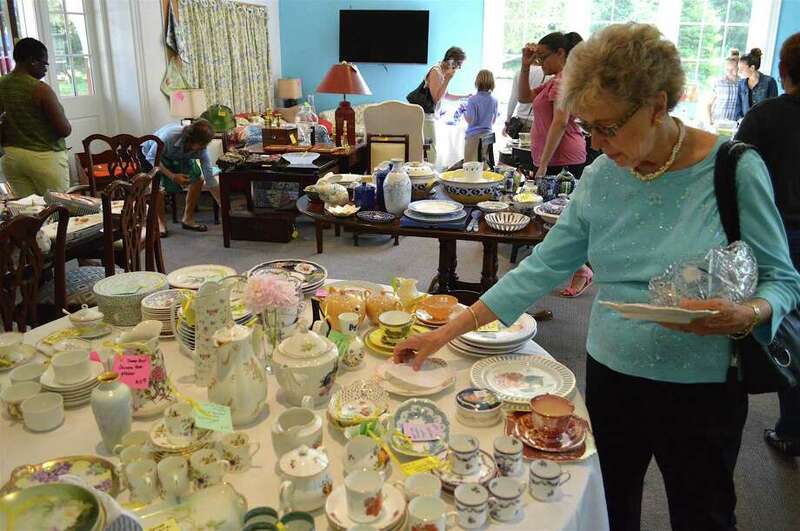 Connie Meehan of Stamford explores the spread at the St. Luke's Parish annual Tag Sale, Saturday, June 10, 2017, in Darien, Conn.
DARIEN — It was a win-win happening Saturday when St. Luke’s Parish hosted its annual tag sale. Visitors found a range of treasures, while proceeds were collected to fund the church’s various outreach missions. “It’s going well,” said Quay McKeough, who oversaw the event, joined by around 75 volunteers.